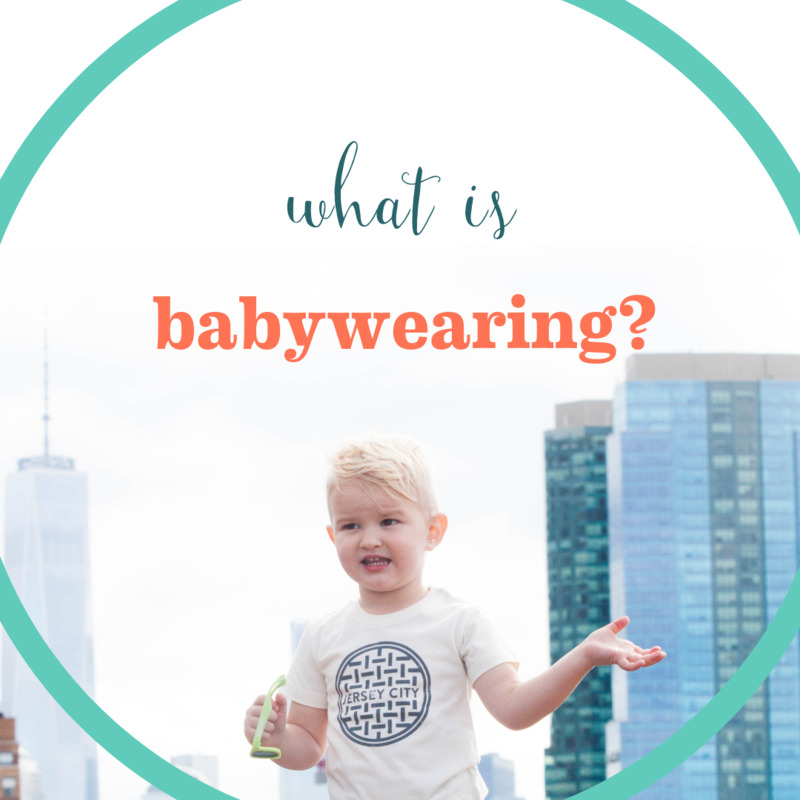 Home | Blog | What is babywearing? The art of babywearing - tips and tricks from a new mom's perspective, and guidance from experts in the field! Before I knew I was going to become a parent, I had never paid attention to, or had even heard of, babywearing. But babywearing is just what it sounds like—strapping your baby to your body almost as if he or she is an article of clothing—and we’re big fans of it here at Hazel Baby & Kids. The practice is nearly as old as we are, dating back to nomadic societies; when parents had to move to find food, the babies needed to move with them, and wearing little ones was the easiest way to get families from one place to the next. At Hazel we carry a variety of carriers, wraps, and accessories—and here are a few reasons why we’re a little obsessed with babywearing. For breastfeeding moms, babywearing can aid in creating a successful breastfeeding relationship. For formula-fed babies and their parents, babywearing, especially with skin-to-skin contact, is a great way to get that bonding time in. And for parents of premies, keeping your baby near to you is an important way to maintain and even increase baby’s health. Babywearing gives parents and caregivers a tremendous amount of freedom. Just put baby in and go! To coffee, a playdate, or a trip to Grandma’s. “It was my way of getting out of the house!” O’Malley says. Babywearing also helps us grown-ups get in two-handed tasks: washing the dishes, eating lunch, checking email, etc. while baby sleeps or hangs out on our chest. I use the soft-structured Ergobaby carrier for my son, another Hazel favorite. When he was a newborn, he faced me and sat on the Ergobaby infant insert, and now he rides piggyback style when we walk around town. We love the idea that our kids can learn and develop more from being literally on top of us. Another great soft-structured carrier is the Becco, made from organic material, which is important to us at Hazel Baby & Kids. Now that you know the brands, we have some important babywearing tips for you: Commit to a carrier or wrap after baby arrives. Babywearing is very personal for both caregivers and babies, and with so many styles and brands, it’s hard to know which ones might work for you and baby until you actually try them. Come into the store, and a Hazel Baby staff member can help you choose the best carrier for you. Learn how to use your carrier or wrap. “Baby’s body should be in an M position, with the knees above the bum,” says O’Malley. And if you aren’t sure you’re babywearing correctly, watch tutorials on YouTube or enlist the help of doulas, aka babywearing wizards. There’s also the local group, Babywearers of Northern New Jersey, which holds biweekly meetings in both Newark and Jersey City, where everyone can learn more about babywearing. And O’Malley’s Instagram, Plus-Size Babywearing, also features parents wearing their babies and tutorials for various brands from parents of various sizes. Keep on top of product safety: Be aware of safety concerns or recalls before you buy a carrier, sling, or wrap. For information, visit cpsc.gov. Spring is almost here, and we can’t wait to see all your Jersey City babes and tots out and about around the neighborhood. Happy babywearing!